Like most individuals, I have an insatiable case of Wanderlust. I'm frequently googling new and exotic places to visit and explore. Hell as I'm sitting in the airport waiting for my connecting flight, I'm looking at where I could travel on my next holiday. It's not that I'm ungrateful to be on vacation, it's really more a means to pass the time before my next flight. However, every country I visit, every new town I explore, I want to learn more about the world around me. A few short years ago I would have never dreamt that I would travel to Asia. European countries were always at the top of my travel list, but after a work trip to Bali, I discovered I wanted to see more of Asia. Seeing as I want to see as much of the world as possible before I die, this list is a Sparknotes version of some of my top must-see destinations, in no particular order. How have I not been here yet? I've lived in Australia for over two years now and still have not managed to take a trip up to Queensland. Yes, I did have a flight booked for this year, but life gets in the way and just messed that trip up. I think I need to just plan a long weekend and go! This should be the most attainable destination on my list. I've had a few friends travel to Sri Lanka. When they've returned, its nothing but amazing stories about how lovely the experience was. Great beaches, amazing surf, fantastic food, and charming locals is everything I could ever want on holiday. Until recently, I did not have a good understanding of Sri Lankan culture, but now I want to learn more! Sri Lanka is definitely a must see on my travel list. Antartica is the polar opposite of everything I usually look for in a holiday. It's freezing cold, the beaches are ice, and there's lots of snow. But there is something about Antartica that has been drawing me to visit. One day I would love to travel there to do conservation or research work. Maybe I'll even summon the courage to dive the Antartic waters. It will not be a luxurious vacation, but that is what I'm seeking. I want a trip that will challenge me and expand my horizons. Narrowing down the countries, I want to visit in South America was no easy feat. Ideally, I would like to visit all the countries in South America, but Ecuador is highest on my list. Ecuador is littered with incredible historical sights and breathtaking landscapes. Nature and history are two big selling points for me on any holiday excursion. Sightseeing on Easter Island and the Galapagos would be an incredible experience. Exploring the historical sights such as the Ingapirca Ruins or the gorgeous landscape at the Swing at the End of the World are definitely high up on my list. Please excuse me while I go pack my bag right now. I'm still unsure how I have yet to visit New Zealand. There are always so many fantastic flight deals from Australia too there, and yet, I have not visited. I mean New Zealand is home to Hobbiton and some of the best adventure sports in the world. Next time there's a flight deal on I Know the Pilot, I need to book a trip. For those who do not know, I am a massive animal lover. I've driven to Adelaide simply to cuddle a koala (it's illegal in Victoria). Anytime I have a chance to see amazing animals in their natural habitat, I'm even more excited. I've done a lot of research on where to visit in Africa and have found Tanzania seems to be the best country for animal safaris. Not only is there incredible wildlife in Tanzania but there are also unbelievable hikes and waterfalls. Everything I love wrapped up in one beautiful trip! Not only do I have some amazing friends in Brazil, but there are also so many incredible things I would like to see in Brazil. Hiking in the Amazon, exploring Rio, enjoying the superb beaches. Brazil has so many amazing things to see and explore. I may have to take a long trip to Brazil just so I have enough time to see everything. I have wanted to go to the Maldives for years now. For a long time, I only viewed this as a honeymoon destination. But the Maldives doesn't need to be just for couples. 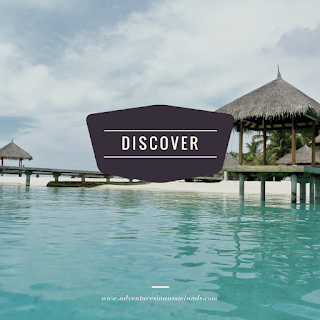 Whether you want to relax and detach from the virtual world for a while or experience some incredible scuba diving and snorkelling, the Maldives seems to be the perfect place for anyone wanting a detox from society. Peru is filled with outstanding geographical and historical sites to see. With three different regions that offer three different terrains, there is definitely something for all types of travellers. Machu Picchu is high up on my travel list. How incredible would it be to see one of the 7 Wonders of the Modern World? There are hot springs, incredible hikes, ancient historical sites, and beautiful beaches. Plus, I could get my fix of Inca Kola (if anyone knows where to find this in Australia, please let me know)! Honestly, who wouldn't want to visit the Great Pyramids? Seeing the ancient Pyramids of Egypt has been on my travel list since I was young. There is so much history, so much culture. One could easily spend months in Egypt. Hopefully one day soon, I will get to visit. 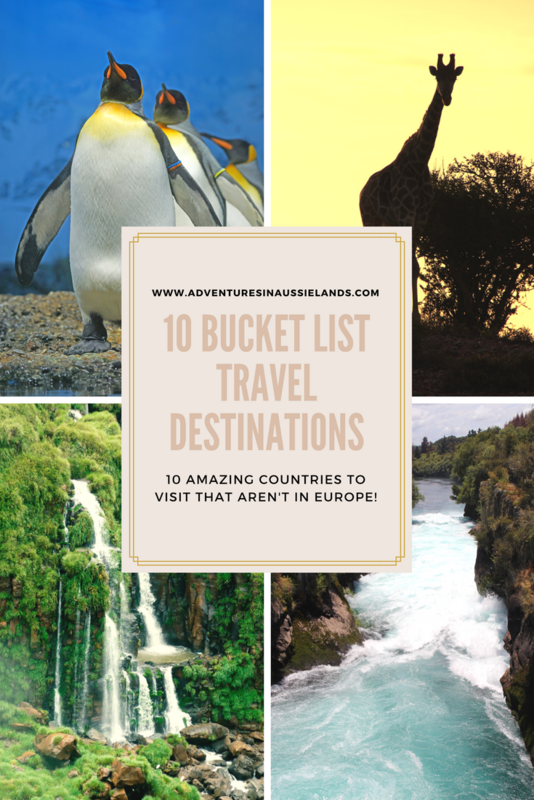 Have you visited any of the countries on this list? What was your favourite part of your visit? 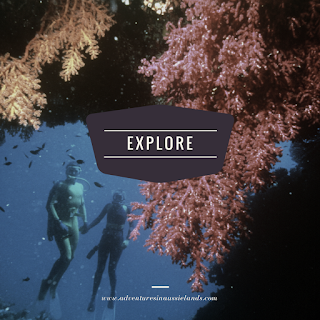 What does your travel bucket list look like? Share it in the comments below! I would love to visit all of these places! With this cold weather I would love to be somewhere tropical right now! I'm feeling the exact same way. I left summer in Australia and traded it for winter in the US for a couple weeks. Not sure what I was thinking lol! Which were already on your bucket list? I feel the exact same way! I feel travel is the only thing one spends money on to get richer. Long way to go! But starting with exploring Africa this year, and then getting back to Asia in the end of the year - I agree, there is so much to explore there! How exciting! I'll definitely have to follow along on your journey. I have yet to make it to Africa but I'm hoping in the next 5 years to make it out there! This is a great list of places! Sri Lanka is definitely top of my list! I would to travel to atleast some of them if not all.